India boasts of myriad of colorful festivals and Janmashtami is one such festival celebrated with religious observance by Hindus across the length and breadth of the country. On the occasion of Gokulashtami, umpteen varieties of scrumptious sweet dishes are prepared from milk and curd. Since Lord Krishna relished dairy products, most of the recipes are sweets that are made from dairy products. 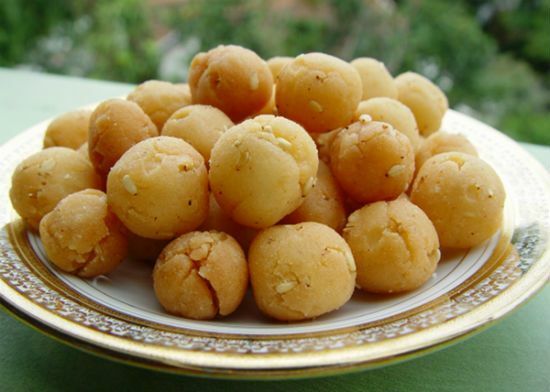 Apart from sweets, spicy delicacies / savouries are also offered to Lord Krishna. Although the rituals and celebrations of Gokulashtami are almost the same, when it comes to food, every region has a different perception. In Tamil Nadu Vella Seedai is a must for Gokulashtami while Keralites relish on Neyyappam and Pal Payasam. 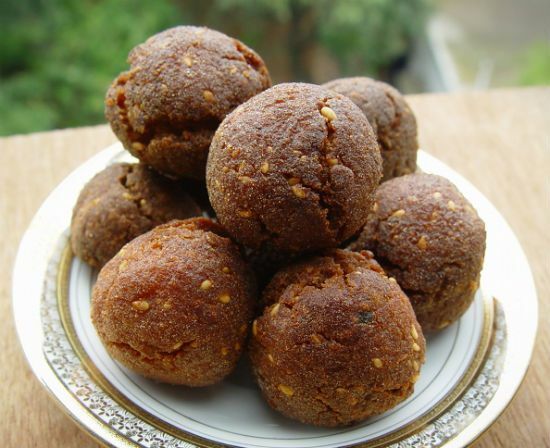 Peda is a hot favorite in northern parts of India. Let us explore some more recipes prepared on Janmashtami. 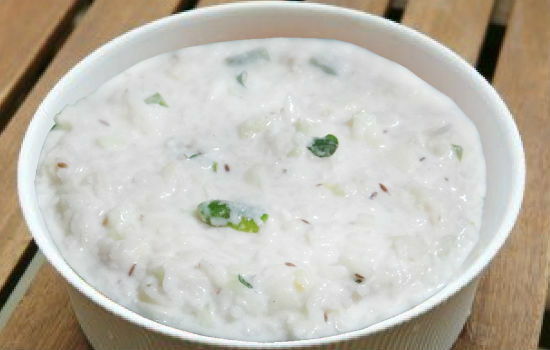 Kheer: It is one of the most commonly prepared dairy products on this day. 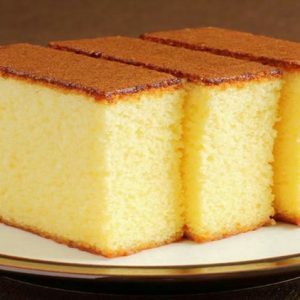 It is an extremely scrumptious item prepared from rice and condensed milk. 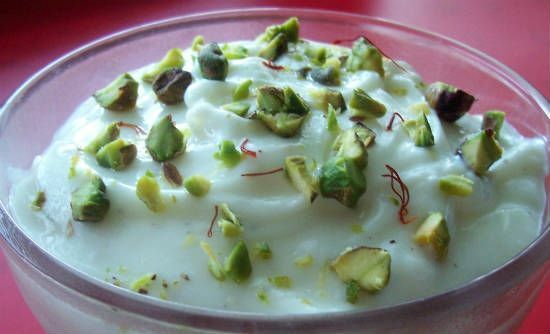 Shrikhand: This melt-in-the-mouth sweet is prepared by mixing plain yogurt, granulated sugar, rose water, ground cardamom; ground nutmeg, chopped green pistachios and a few threads of saffron. Because of its rich colour and yummy taste, it is also known as sweet golden yogurt. Gopalkala: The delicious Gopalkala is a salty recipe generally prepared in every home where the festival of Janmashtami is observed. This extremely nutritious and scrumptious dish is prepared from beaten rice, curd, ghee and cucumber. Kalakand: Kalakand is made of milk and sugar and is one of the most popular sweets prepared for Janmashtami festival. Nariyal Magaz Prasad: A famous Janmashtami sweet recipe that is offered as a prasad to Lord Krishna. 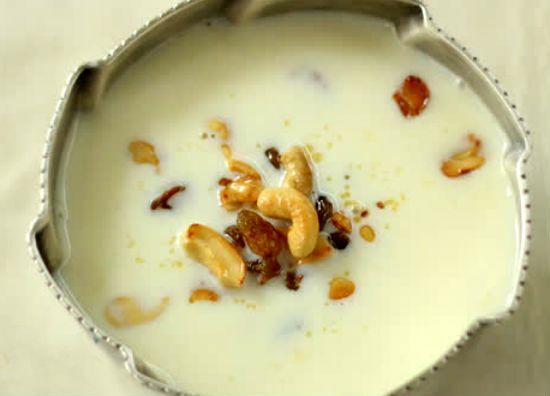 Makhane Ki Kheer: it is a very popular Janmashtami recipe that is made of full cream milk, sugar and lotus seeds. Singhare Ke Puri: It is a variant of Poori made by using singhare ka atta (also known as kuttu ka atta) and is a specialty of Janmashtami. It is served with pickle, beaten curd or Aloo ki sabji. Poha kheer: is a Creamy flavorful, and healthy sweet. In South India, in addition to sweets like vella seedai, pal payasam, savories like murukku, seedai, thattai are offered. These sumptuous foods are then offered to Lord Krishna on the midnight celebrations of the festival. Below are some of the delicious dishes prepared on Krishna Jayanthi festival in South India. Vella seedai: It is a sweet with a hard exterior and a chewy core, smacks of cardamom and sesame. 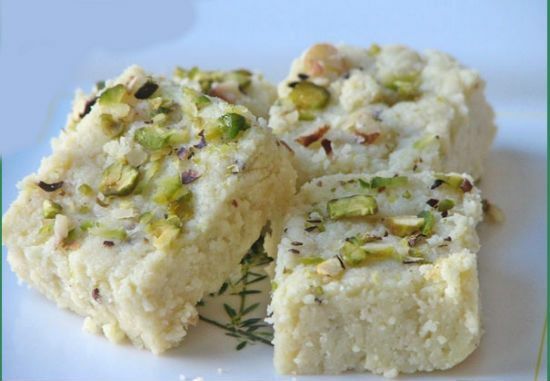 Goddu Phovu (Sweet Aval): It is a popular Janmashtami recipe. 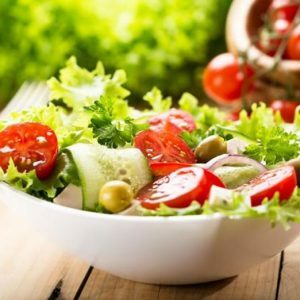 It is easy to prepare and yummy too. Mix thick aval and coconut. Make syrup of 1 consistency with jaggery. Roast chana dhal and powder it coarsely. Add jaggery syrup to aval, coconut mixture. Now add the roasted & powdered chana dhal and mix well. Now delicious Godu Phovu is ready. 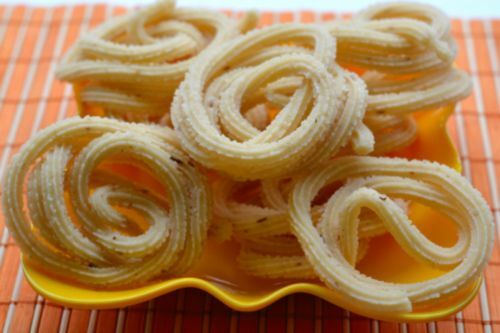 Murukku : There are many variants of this spicy delicacy such as Kai Murukku, Butter Murukku and Ven Murukku. This rice, dal and butter savoury is crunchy and soft at the same time. Uppu seedai: This is lip smacking snack prepared using rice flour and is a must for Gokulashtami neivedhyam. 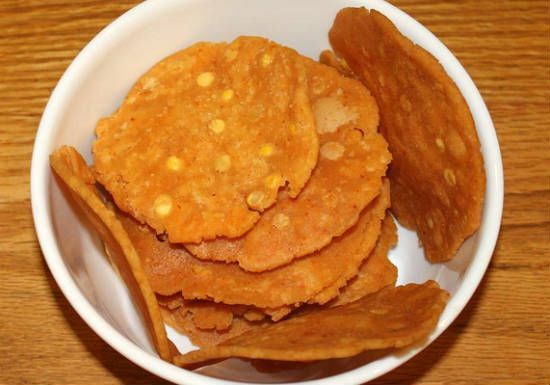 Thenkuzhal, Ribbon Pakoda, Mullu Murukku, Thattai are other crispy and yummy snacks prepared on this occasion. Along with these fruits, butter, aval (poha), curd and milk are also offered for Neivedhyam. There is nothing better to celebrate Kanha’s birthday than treating him as well as your dear ones with his favorite sweets. 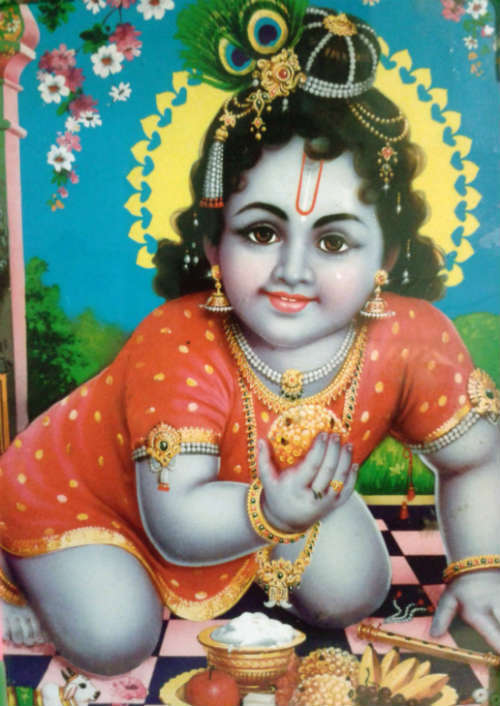 Try these delicious recipes and attain the blessings of Little Lord. Wishing you all a very Happy Krishna Jayanthi / Janmashtami ! 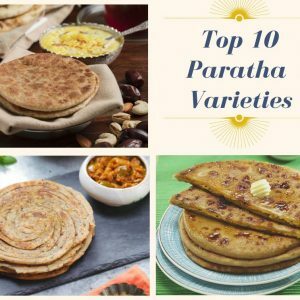 Feel free to comment or share your thoughts on this "Popular Krishna Jayanthi (Gokulashtami) Recipes" article from Awesome Cuisine.